hile there are many quality brands that make scrubs, some companies distinguish themselves more than others thanks to a history of making innovative products. Cherokee Uniforms is one of these brands. Nurses everywhere love their products, which is why Cherokee is the standard in nursing scrubs. Read on to discover eight reasons why nurses can’t get enough of Cherokee scrubs. Cherokee Uniforms has been making ready-to-wear work apparel for more than 45 years. 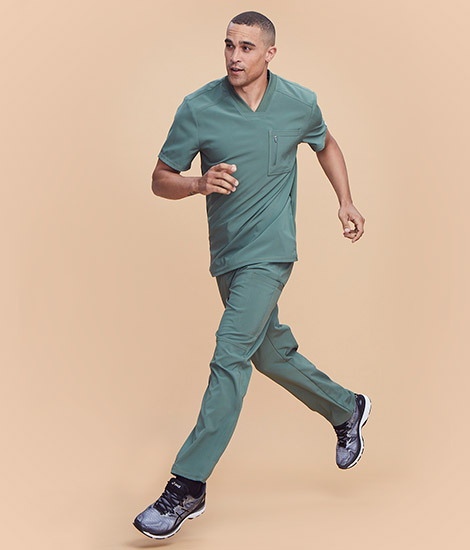 The company has a long history of designing and manufacturing scrubs that are comfortable, fashionable and durable—so it’s no wonder they’re the market leader when it comes to scrubs. Their uniforms have combined functionality with personality since the company’s inception, and it shows no signs of stopping this commitment. While many other brands have followed its lead in recent years, Cherokee was the first to offer fashionable scrub designs that were actually flattering to wear, and the company has only continued to expand their product lines. Cherokee offers every size from XXP to 5XL and beyond, so no matter your height or body shape, you’ll be able to find something that fits you. The brand’s scrubs are also cut to flatter both male and female bodies, and of course it offers many unisex options as well for ultimate versatility. The variety doesn’t stop at the scrubs’ cuts. Cherokee uniforms also come in literally dozens of solid colors and prints. Whatever color you want, they sell it–from red to pink to purple to blue to green to brown to grey to black to white (and every shade in between). Cherokee is also well-known for its wide collection of printed scrubs, which include tasteful designs of florals, animals, abstract patterns and more. 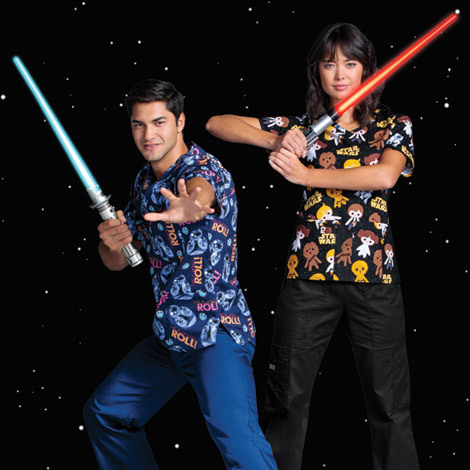 Speaking of printed scrubs, we can’t talk about Cherokee Uniforms without discussing their popular Tooniforms scrubs line, which features popular cartoon and media characters such as Star Wars and Mickey Mouse (and many more!). These uniforms are a great way to support your favorite fandom while still enjoying the comfort and durability of classic Cherokee scrubs. A Tooniforms top always brightens up any patient’s day, and these scrubs go over especially well with kids in pediatric practices. Other brands that have such a long history of successful products might be tempted to rest on their laurels, but not Cherokee Uniforms. The company has continued to launch new uniforms that improve on already great products, further pushing the boundaries of scrub designs. For example, the Infinity scrub line is made with an incredibly functional stretch fabric that keeps nurses comfortable throughout the workday. Plus, the CERTAINTY® Antimicrobial Fabric Technology inhibits the growth of bacteria, yeast and algae, a must for nurses who are exposed to germs all day. Cherokee Uniforms aren’t just created by designers coming up with ideas in a vacuum. The company works with a nationwide panel of nurses that gives feedback on new products and industry trends, influencing the design process. Whenever you put on a pair of Cherokee scrubs, you’ll know that real-life nurses just like you helped test and refine them through experience. Cherokee Uniforms has been in business so long for a reason: It’s the industry standard in scrub uniforms. 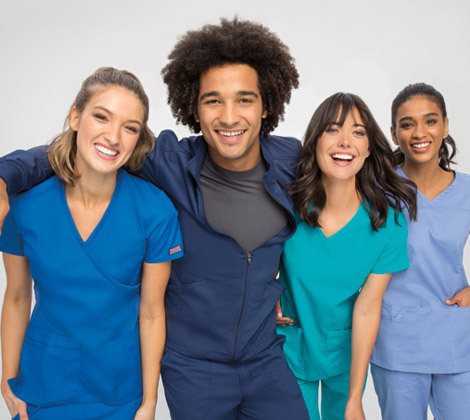 When it comes to quality, durability, functionality, comfort and fashion-forward designs—not to mention a proven track record of consistently manufacturing such scrubs—Cherokee Uniforms can’t be beat. After all, nurses have trusted this company for more than 45 years for a reason. 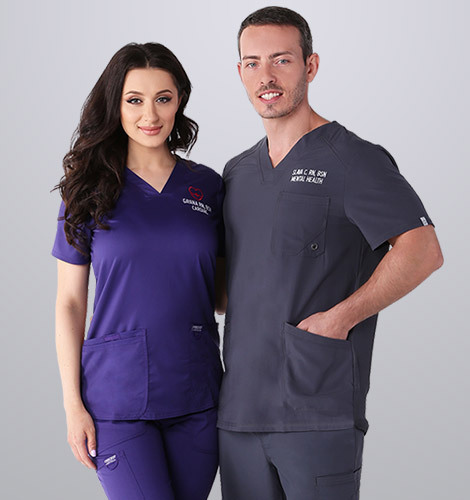 While Cherokee Uniforms is most well-known for their scrubs, the brand also brings its expertise in design and manufacturing to a variety of other products, including jackets, lab coats, medical bags and totes, clogs, shoes, socks and hosiery and more. Whatever you buy from Cherokee, you know you’re getting a high-quality product that was designed especially for nurses. There’s a lot to love about Cherokee Uniforms, starting with these eight reasons, which is why nurses have helped make their scrubs the market leader. If you’re looking for scrubs or other nursing gear that combine good looks with practicality, it’s hard to beat Cherokee.